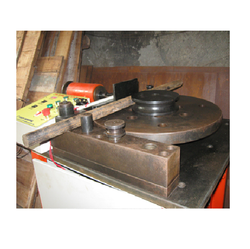 Pioneers in the industry, we offer torque testing machine, bend rebend machine and fertilizer briquette machine from India. 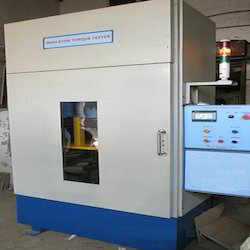 Torque Testing Machine is designed to perform Torque Test on Insulator of varying heights and for a similar application on other products. Multiple drive options are available to suit customer requirement.The applied torque is displayed digitally with a facility to display peak torque at end of the test. T-slots are provided on the mounting table to fix insulators of varying base dimension. The vertical spacing between the base plate and the coupler is adjustable through a motorized operation.The front door is provided for the safety of operator during the test. Additionally, an emergency switch is provided to disable the drives. Rotational Speed of Work Table 3.5 rpm max. Production capacity 250 kg / hr. 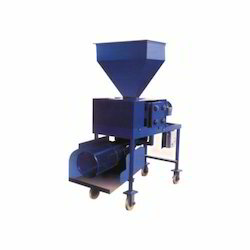 Fertilizer Briquette machine uses the principle of Dry Compression the machine produces the pillow-shaped briquettes of a mixture of Urea + DAP, this is mostly used in paddy plantation. Easy to handle with absolutely no maintenance cost. Can be used directly on field sites. Briquettes of Urea + DAP are easy to handle & use. Briquettes of different size & weight of different mixtures can be produced without using any Binder. Briquettes can be used for any other crop. Briquettes can be a good source of business for young unemployed people in rural areas. Increase in yield per hectare and the saving of fertilizer is very attractive. Investment can be recovered in one season.